Sans Wine, sans Song, sans Singer and — sans End! Edward FitzGerald (1809–1883), excerpted from The Rubaiyat of Omar Khayyam, First Edition, Bernard Quaritsch, London, 1859. 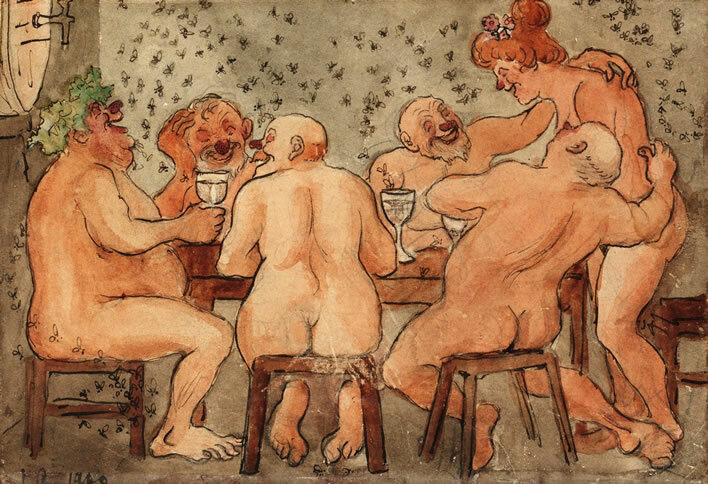 Ivar Arosenius (1878-1909), Backusfest 'Bacchanalia', 1890.